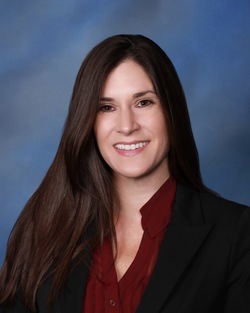 Ashley N. Duz holds a Bachelor of Science degree in finance from Florida State University and a Juris Doctor degree from Florida State University College of Law. Ms. Duz joined the firm after graduating from law school in 2013. During law school, she worked as a Certified Legal Intern with the Florida Office of the Attorney General, Criminal Appeals Division, and worked as a Judicial Law Clerk in the Second Judicial Circuit Court. Her primary practice areas are estate planning, probate, trust administration, small business formation and condominium law. She is a member of the Real Property, Probate and Trust Law Section of the Florida Bar and the Young Lawyers Division Section of the Florida Bar, Volusia County Bar Association, Florida Bar Association and Volusia/Flagler Association for Women Lawyers.